Our members come from as far afield as Tenby and Kilgetty in the west to St Clears, Whitland, Bancyfelin, and Llansteffan in the east. 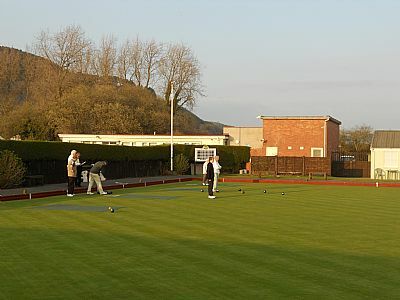 Although we play competitive bowls in the Pembrokeshire league we also play many mixed (male and female) friendly fixtures throughout the year. Membership subscription £75.00 -- New Members £25.00 for the first year.